When my cousin came back from Melbourne for holiday, we decided to head down to Kuala Selangor for some really fresh seafood. Even tough the restaurant didn’t had a lot of selection (due to the rainy weather – no much fisherman went to sea), whatever they had was really fresh. 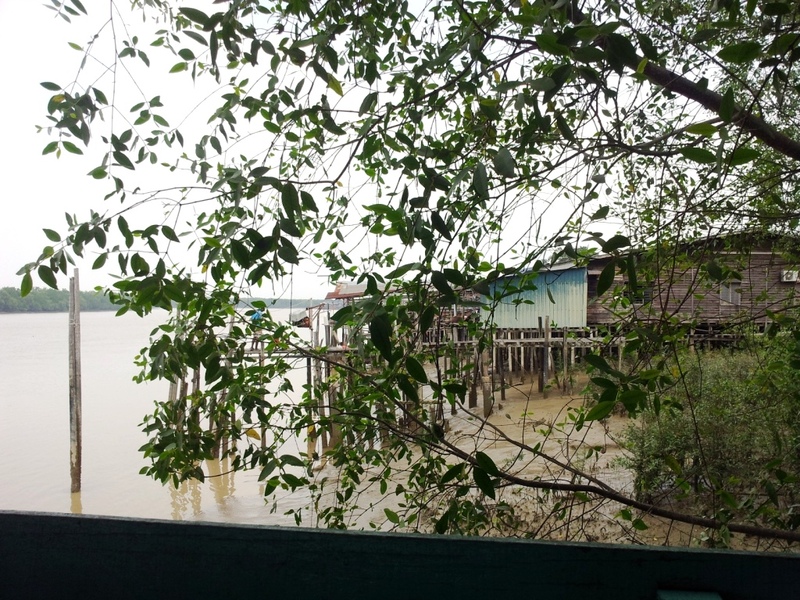 The cool view from where we sit while enjoying the fresh seafood. 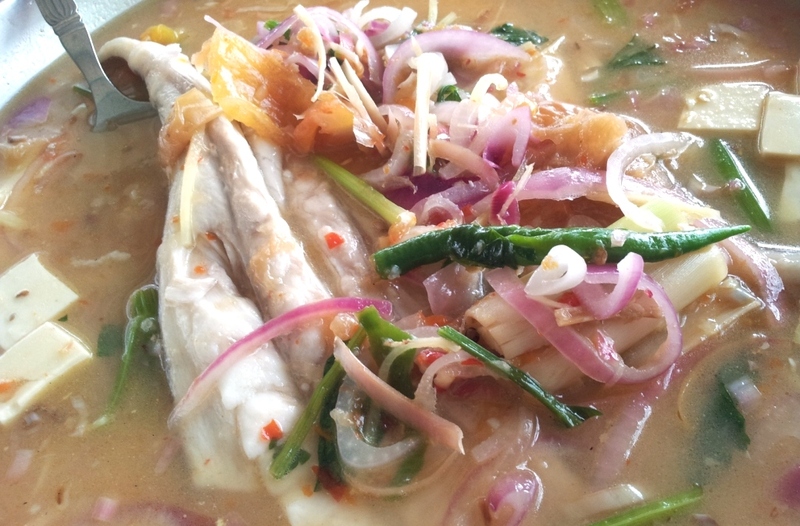 We had Steam Pari (Ray-fish) in sweet and sour soup. The fish was really fresh and the soup was very appetizing. I could easily finish the whole plate by myself with one plate of rice. 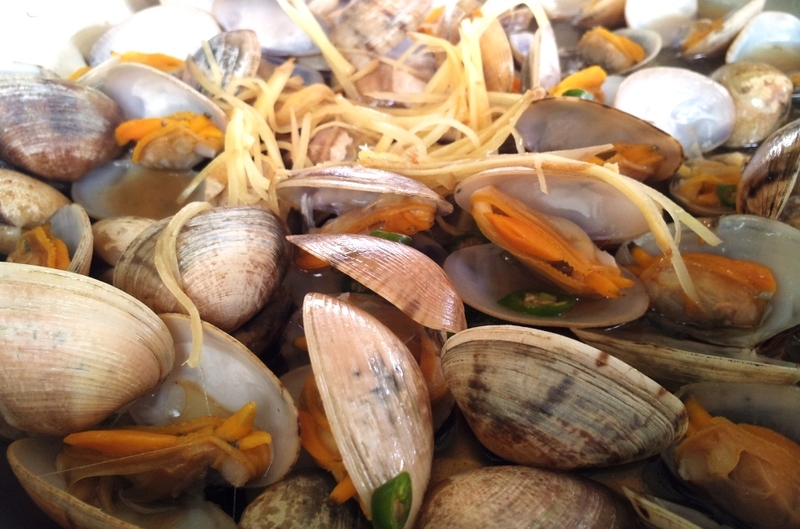 hehehe… Next, the steam clams in clear soup. This was so-so only. The clams are a little on the skinny side, but, still fresh. The clear soup was quite bland in my opinion. 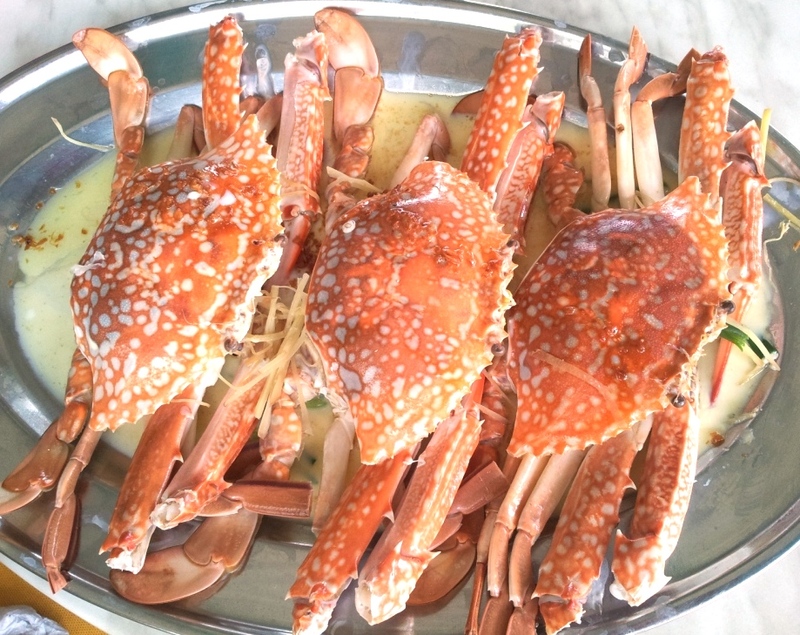 Now for the main stars of the day…We had 3 steam blue swimmer crabs and 4 local mud crabs in duck yolk. I love blue swimmer crabs. it’s so hard to find them nowadays. Was so excited when I saw some swimming in their tank. yay !!! The steam blue swimmer crabs were amazing!!! The meat was chunky and has a fresh bounce when you sink your teeth into it. 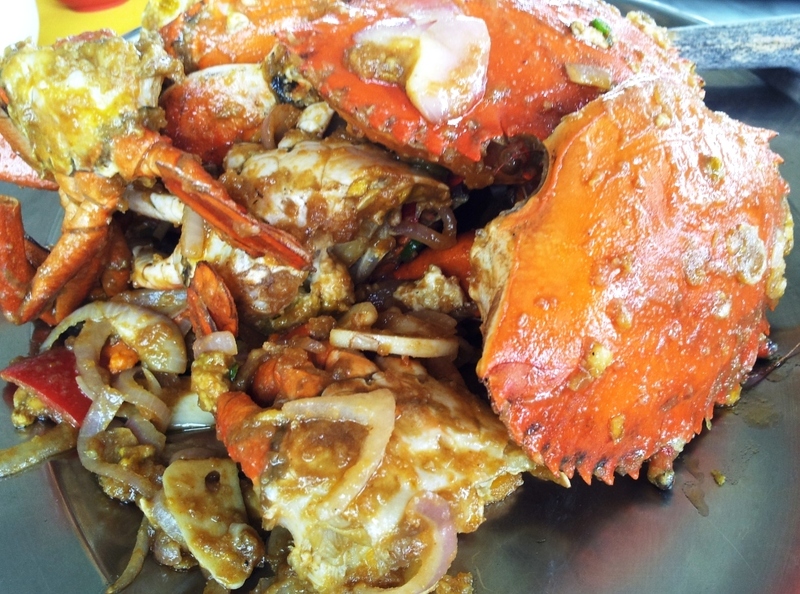 The simple steam was just prefect as it let you taste the subtle natural sweetness of the crabs. It was prefect. It was a great lunch and had a superb time catching up with my beloved couz. Hugz… I miss you so much already.